The global car manufacturing industry produces large amount of revenue and is the one of the fastest growing industries all over the world. The landscape of this entire industry has been completely changed with group of 8 countries (G8) leading this dynamic market. Many new trends have been witnessed from electric vehicles to autonomous automobiles which have the potential to change the future of mobility segment. 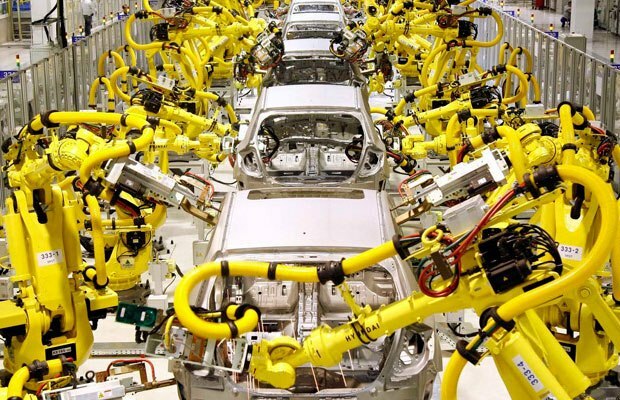 According to the study, ‘Automotive Manufacturing Global Group Of Eight (G8) Industry Guide 2013-2022’, among the G8 countries, United States is the leader in the automobile manufacturing industry which is followed by Japan and Germany. American automobile manufacturing industry is a huge contributor to their own national GDP. Automobile manufacturers are also the largest exporters in the United States generating huge amount of revenue from it. Not only in the terms of revenue generation but companies in USA are also the largest investors of R&D who put huge amounts into not only design of cars but also cost efficiency with respect to total as well as on road cost. Fiat Chrysler Automobiles, Ford Motors and General Motors are the companies with largest market share that are operating from United States. Not only this, but automobile sector is also one of the major employers in the United States. Automobile companies in collaboration with technology giants such as Google and Apple to build autonomous vehicles and this trend has risen from the United States only primarily due to the presence of advanced infrastructure and presence of multiple highly advanced technology firms. Japanese Automobile industry is one of the core industrial sectors in the country. The country is not just a massive consumer for the automobile industry but also a huge exporter. The country is the highlight when it comes to production of passenger vehicles. The country houses some of the most prominent car manufacturers of the world. These include Toyota, Hyundai, Nissan and Suzuki to name a few. Automobile certificate verification is essentially based on type approval system which covers all types of vehicles, both domestic and imported. The overall regulatory environment in Japan is not very comprehensive and requires just few certifications before the companies can start manufacturing the new proposed model. Germany is the third largest manufacturer of Automobiles amongst the G8 countries. Germany is known not for its huge production potential or exports but for its cutting edge technology it implies in production of automobiles. The cars produced in Germany are top quality when it comes to design and safety because of the innovations in their assembly lines and production processes. The automobile industry in the Germany is the biggest in the European Region. Some of the world famous brands such as Audi, Porsche, Mercedes as well as Ford are German born products. Due to the rising energy concerns, manufacturers in Germany were the first to shift to electric manufacturing of cars. While this is a new trend in other countries, Germany has well advanced its research into this segment. The future of the global automobile industry is very bright with some new trends like electric vehicles and autonomous vehicles picking up the pace. The G8 countries especially USA, Japan and Germany are expected to lead the trend due to huge resources available with the companies in these countries which translate into their ability to sustain this change.